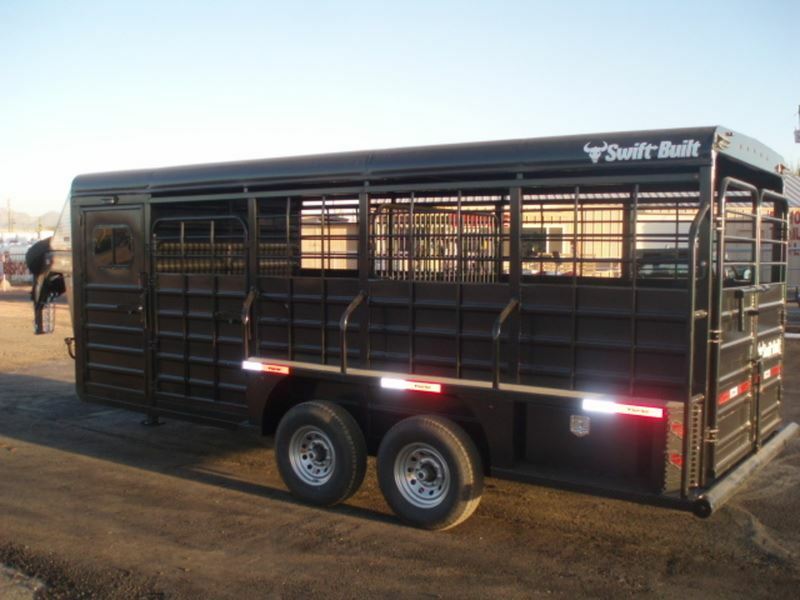 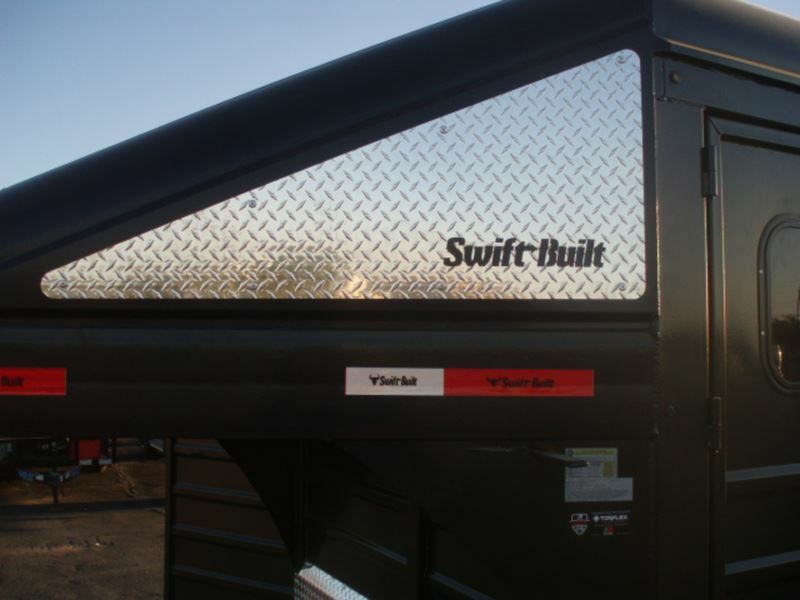 2018 Swift Built 20' Stock Trailer with Double Tack Doors (38"). 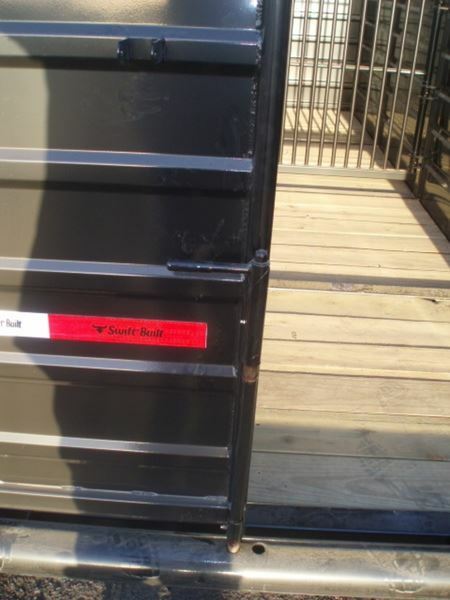 This trailer measures 6' 8"Wide X 7' Tall with a 20' Box. 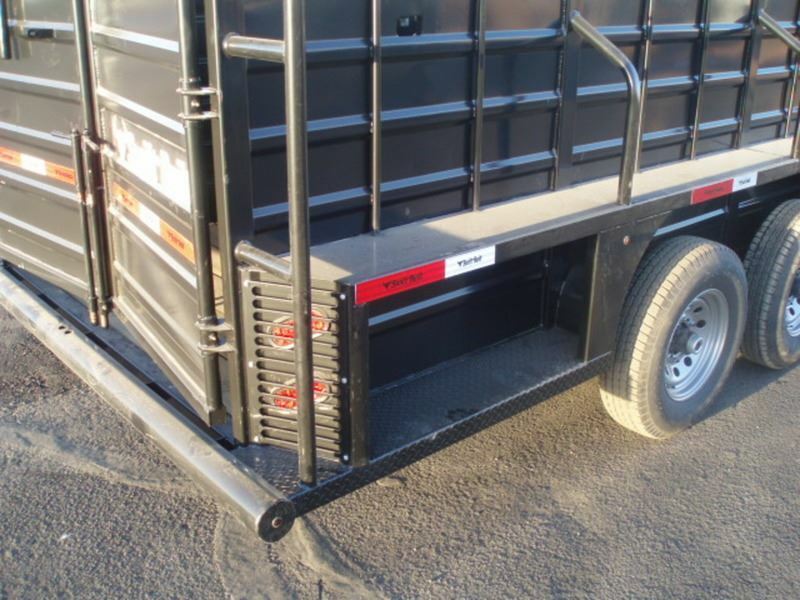 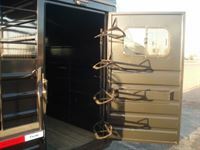 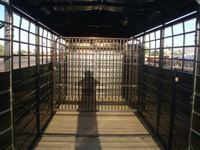 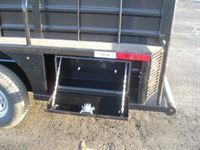 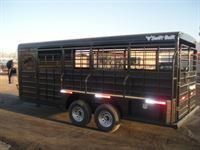 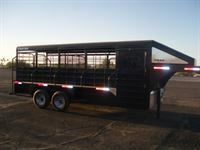 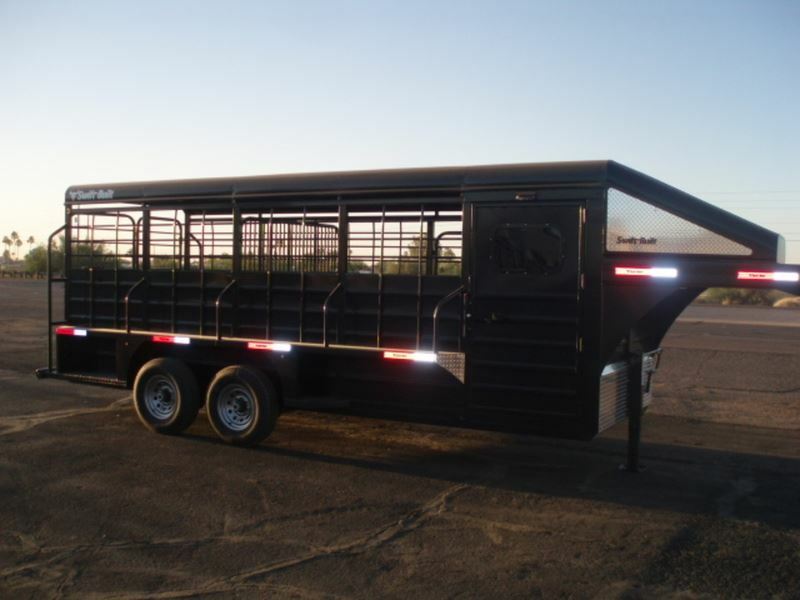 This trailer features a swing-out saddle tree, bridle hooks on both sides, blanket racks, interior lights, and brush trays. 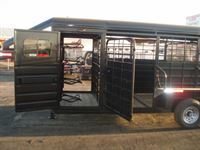 There is a 48" escape door, full length brush fenders with steps, built in tool box for storage, 7,000 lb torsion axles, brakes on all four tires, and a 4" pipe bumper. 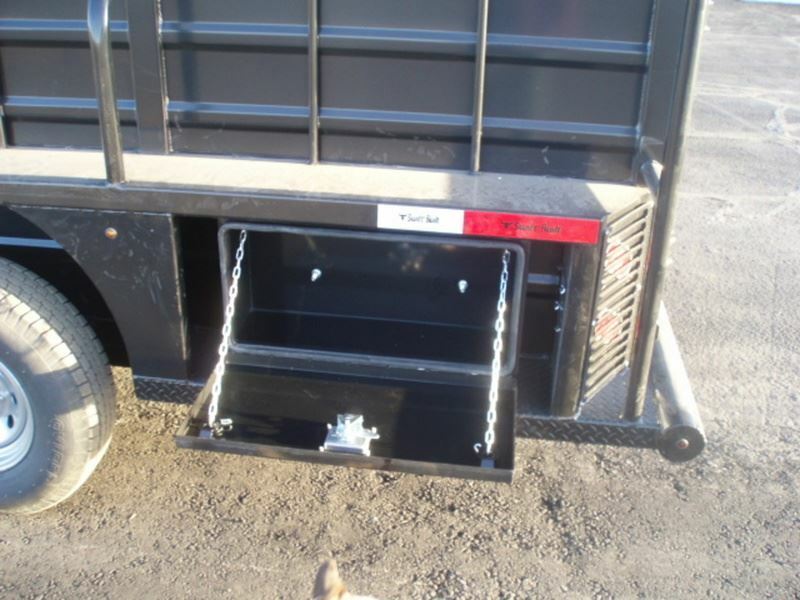 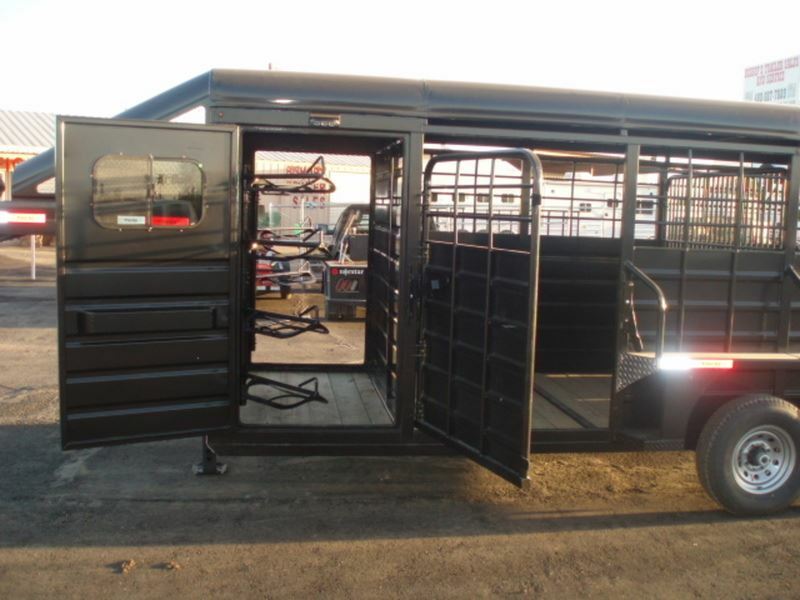 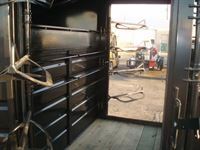 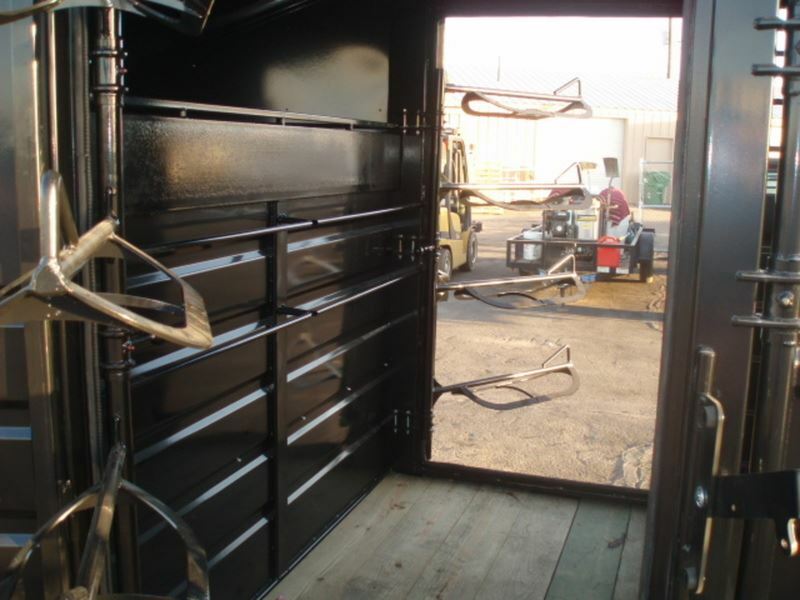 There are double back doors, heavy duty greasable hinges, load lites on the side and the back. 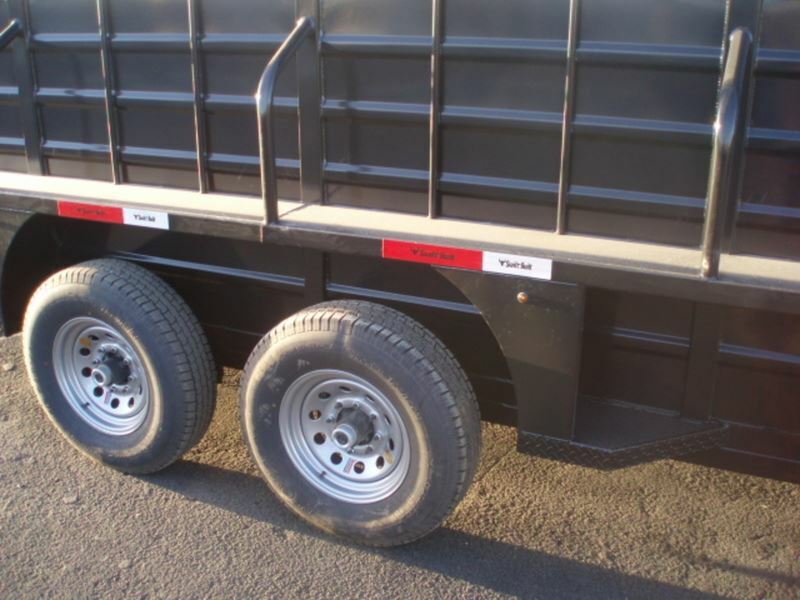 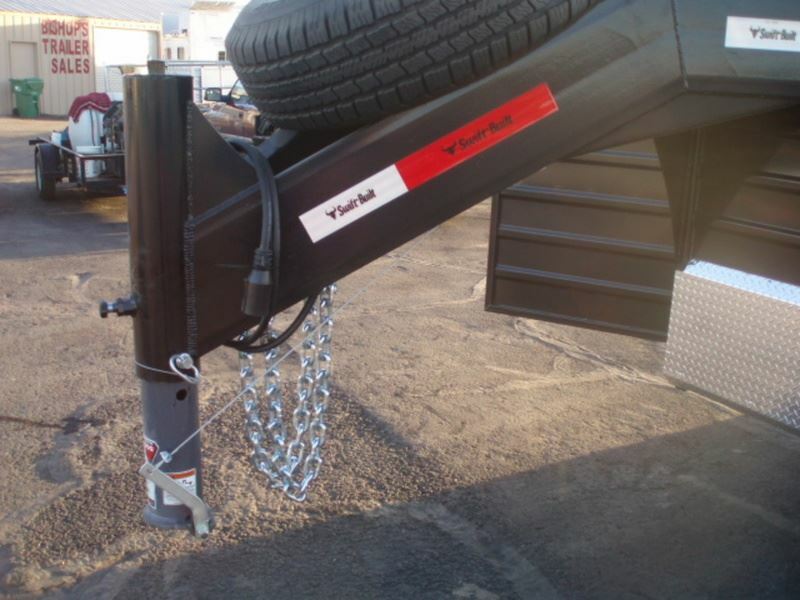 Also, this trailer includes 1 center cut gate, quick release gooseneck coupler, spare tire, and diamond plate gravel guard.